200 Series Smart Switch There is 1 product. 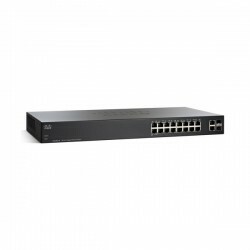 A Powerful Foundation for the Basic Business Network Cisco 200 Series Smart Switches help you build a business-class network for an affordable price. They provide just the right security, management, and QoS features you need to make the most of your business applications and productivity tools, without the costs or complexity of a managed switch.